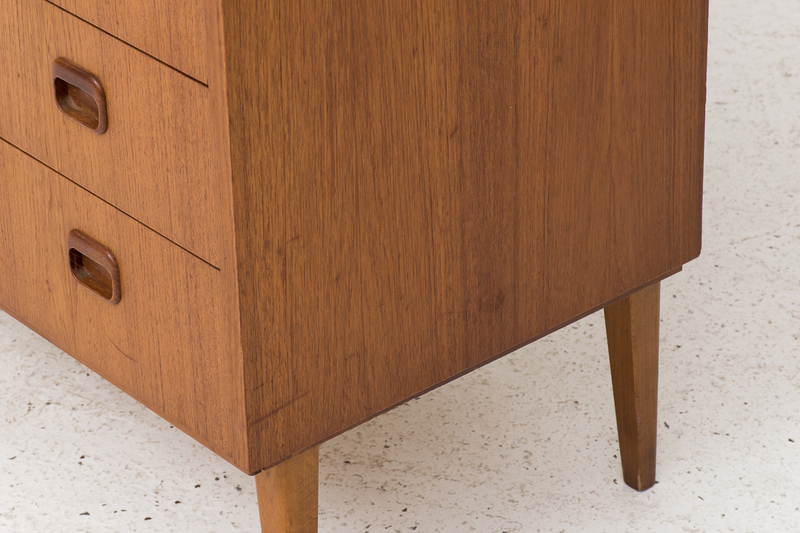 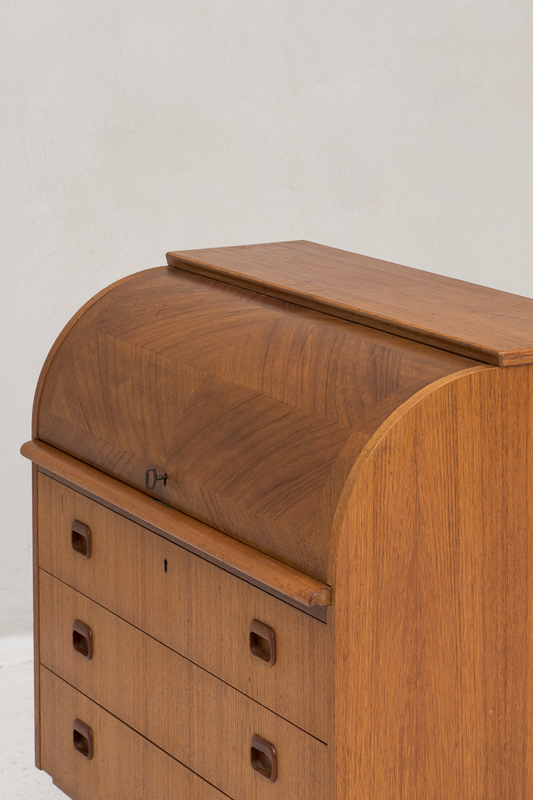 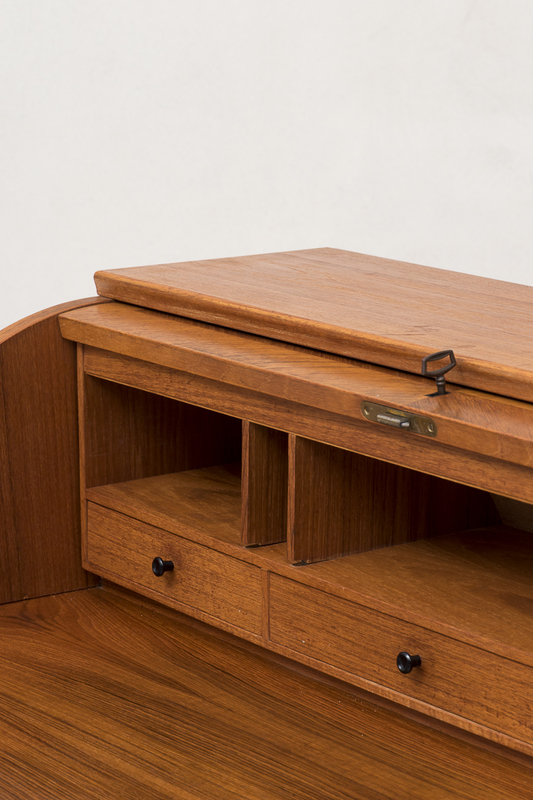 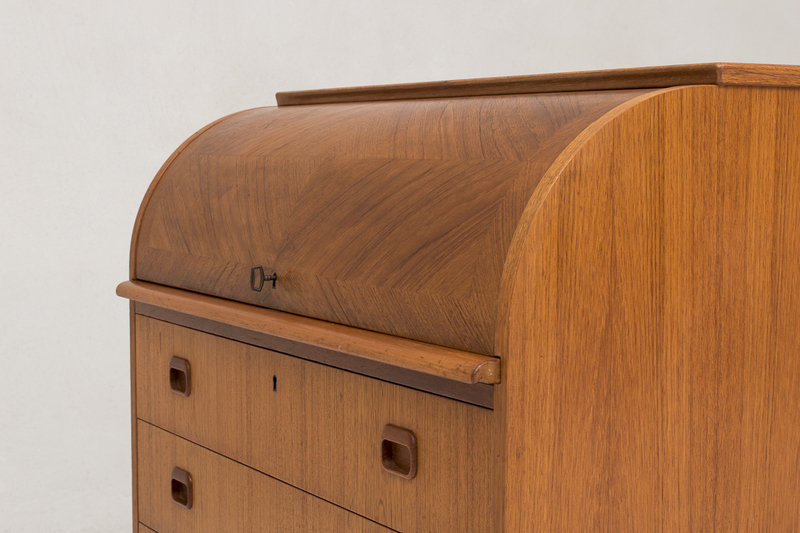 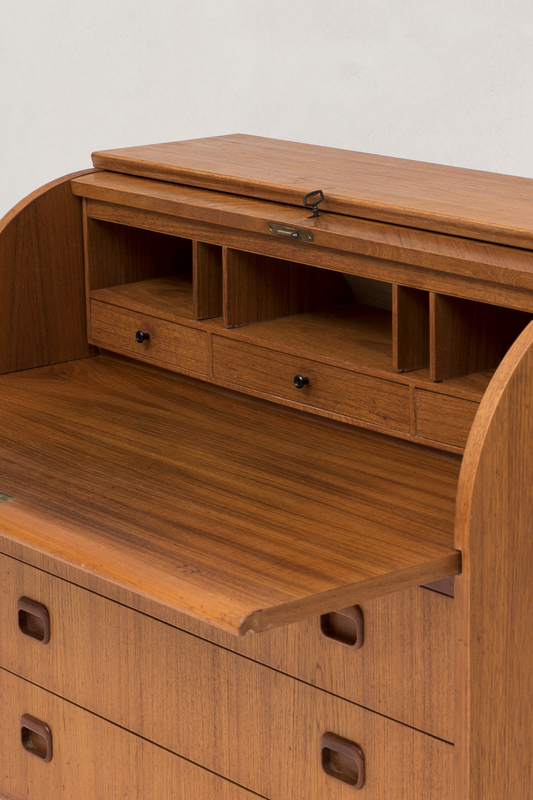 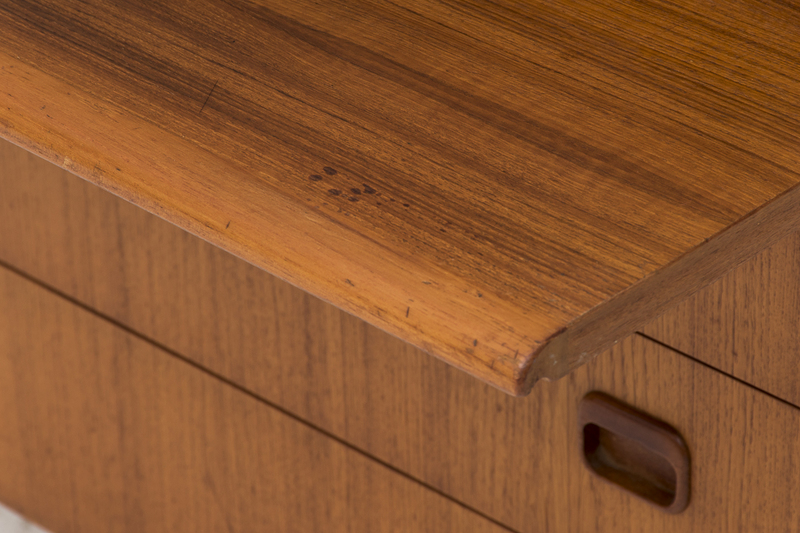 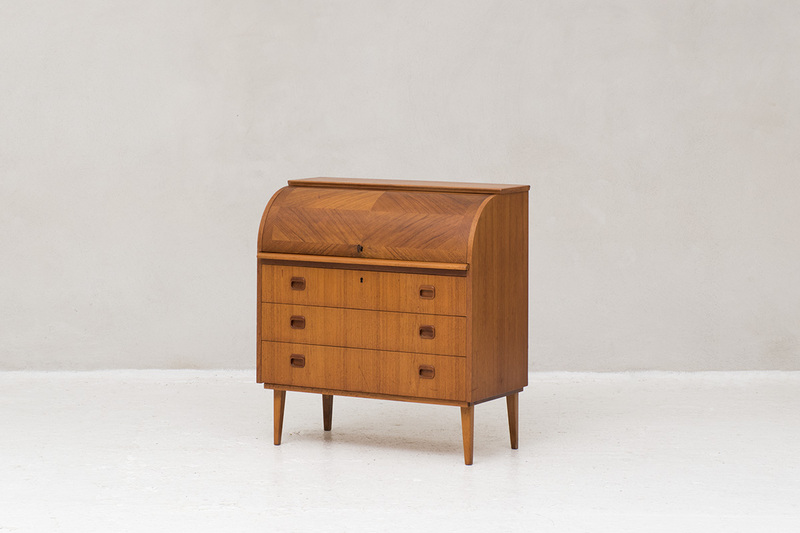 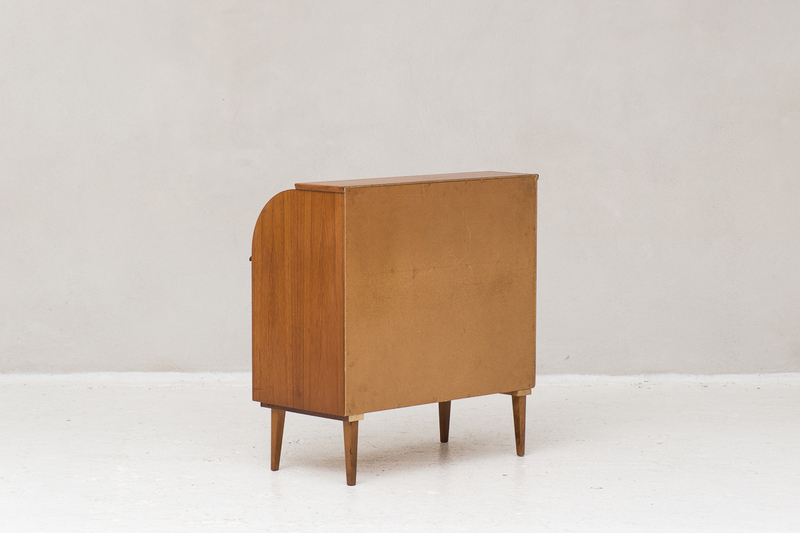 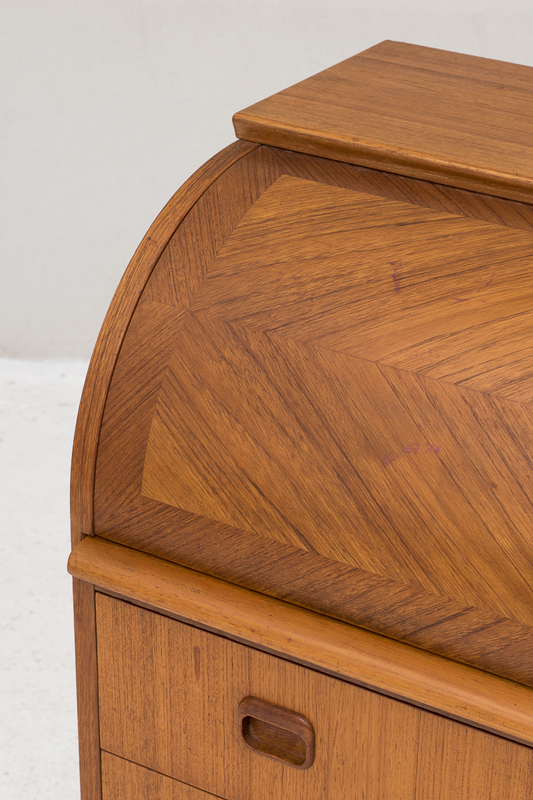 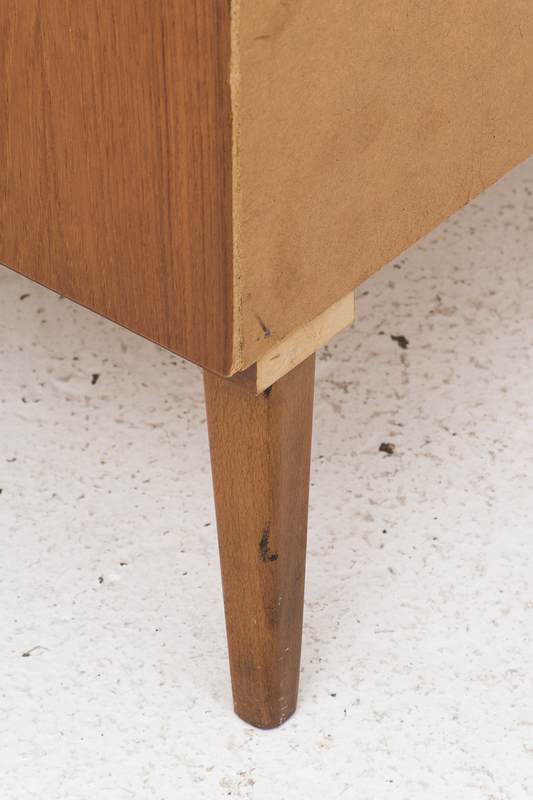 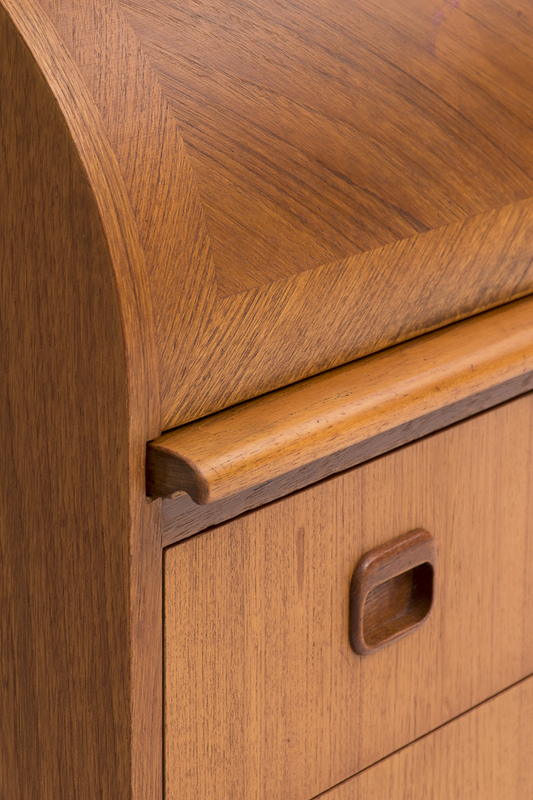 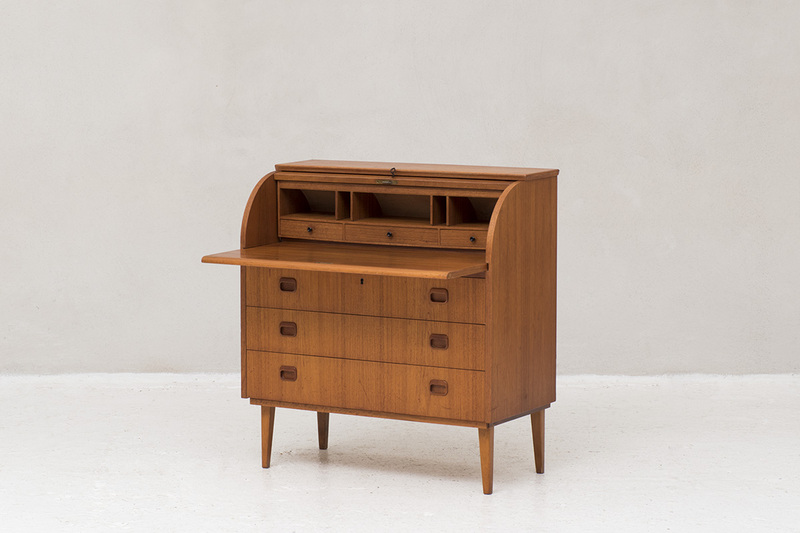 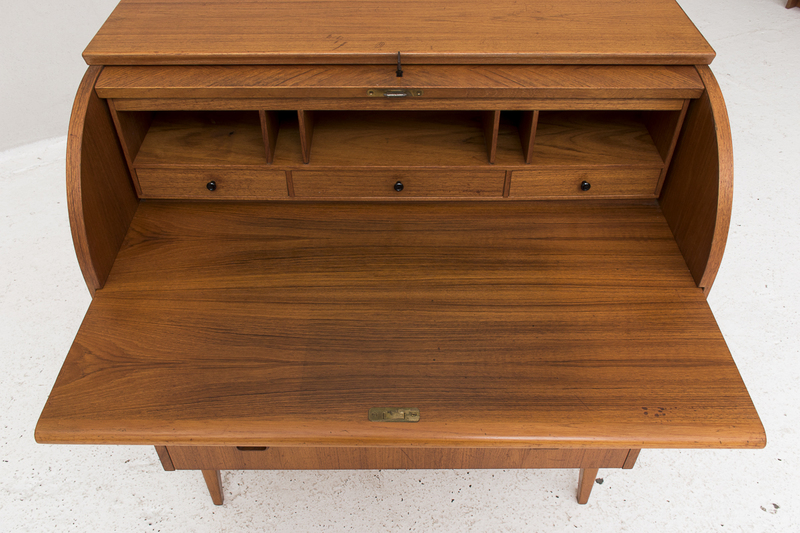 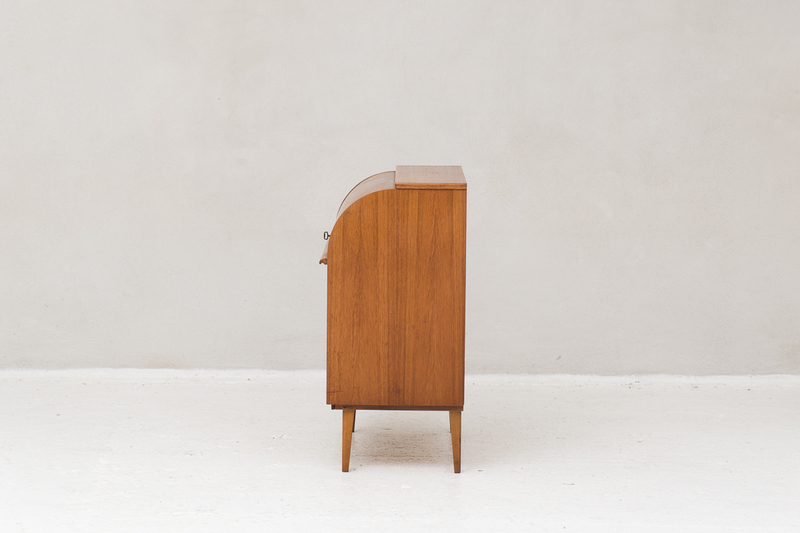 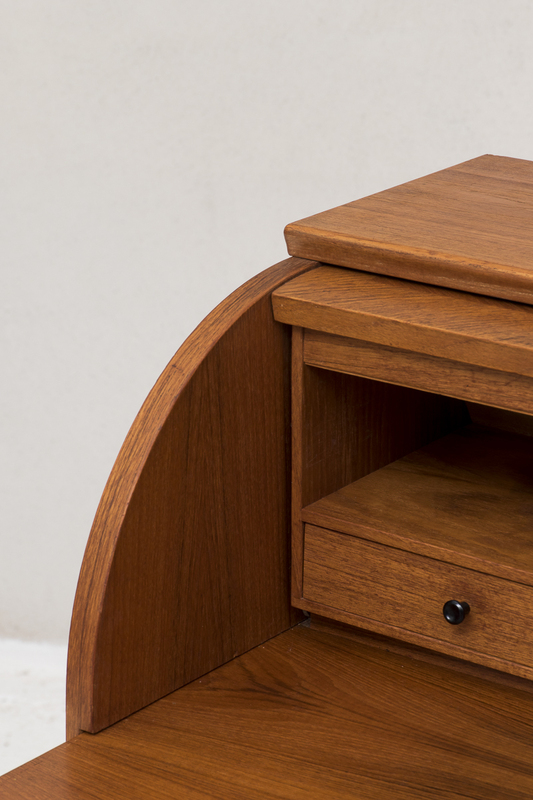 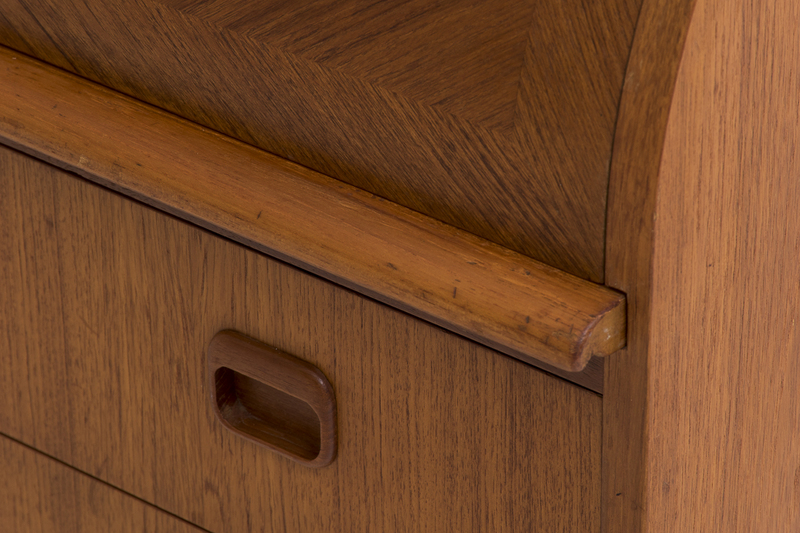 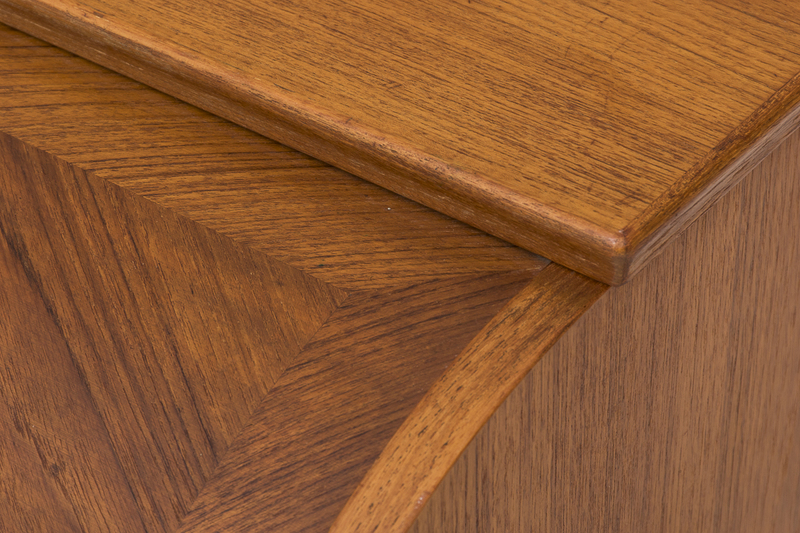 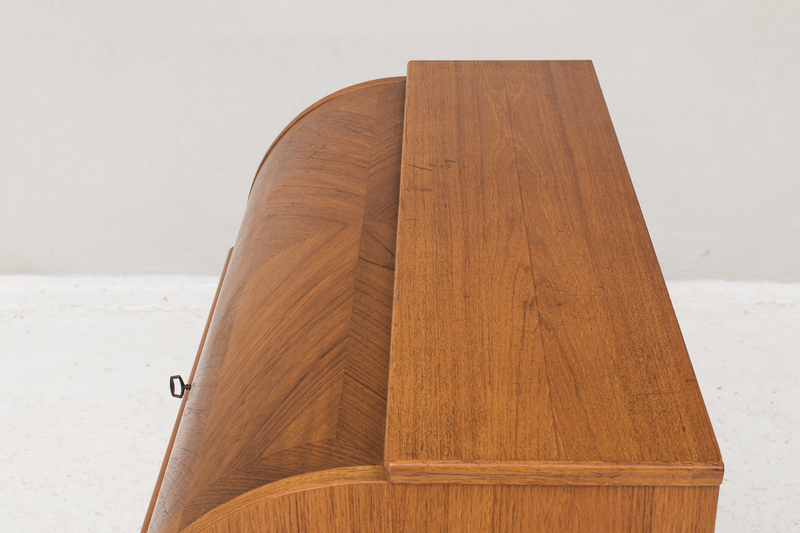 Roll top secretary in teak designed and produced by Broderna Gustafssons circa 1960 in Sweden. 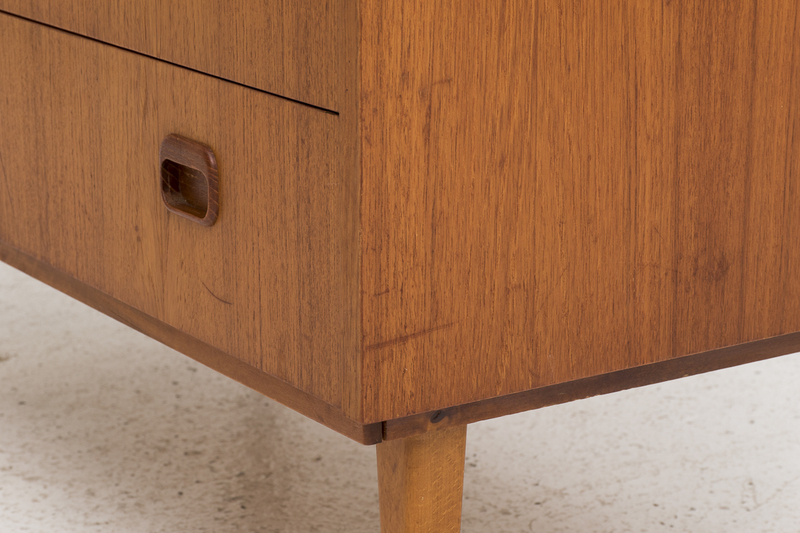 It’s labeled at the bottom. 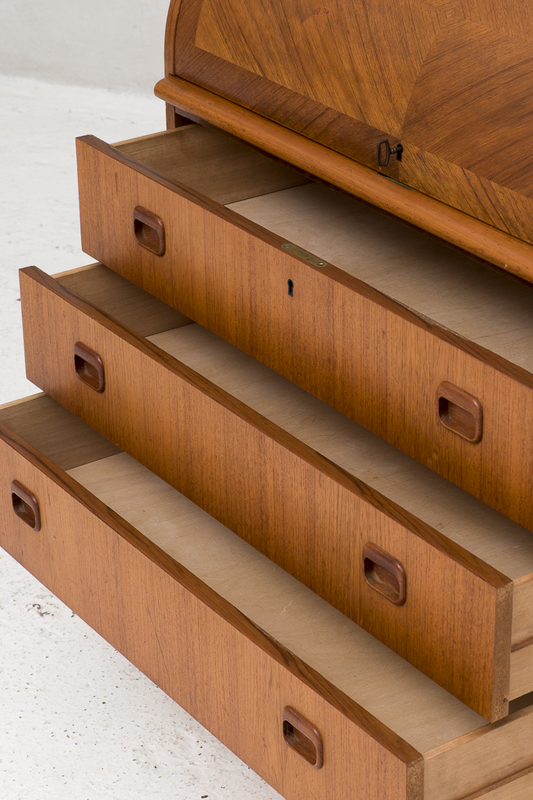 There is one key available to open the roll top and the upper drawer. 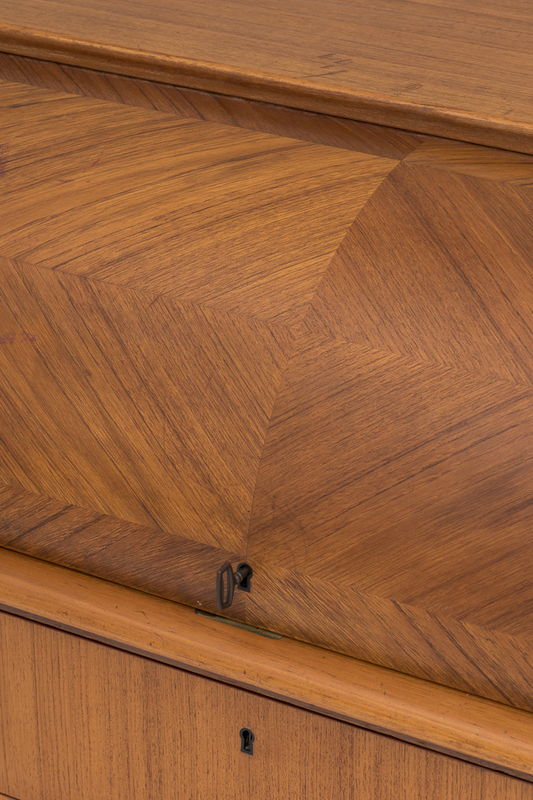 It’s not possible to take out the key when you close the lock. 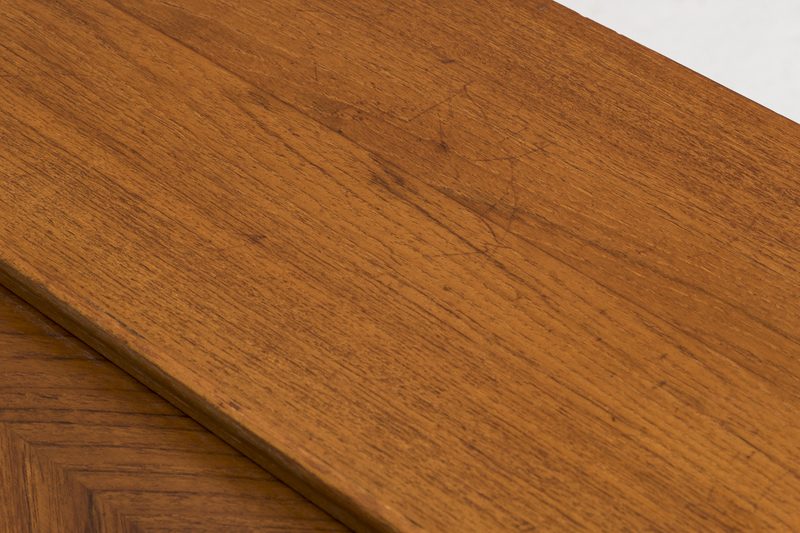 Large worktop when drawn out. 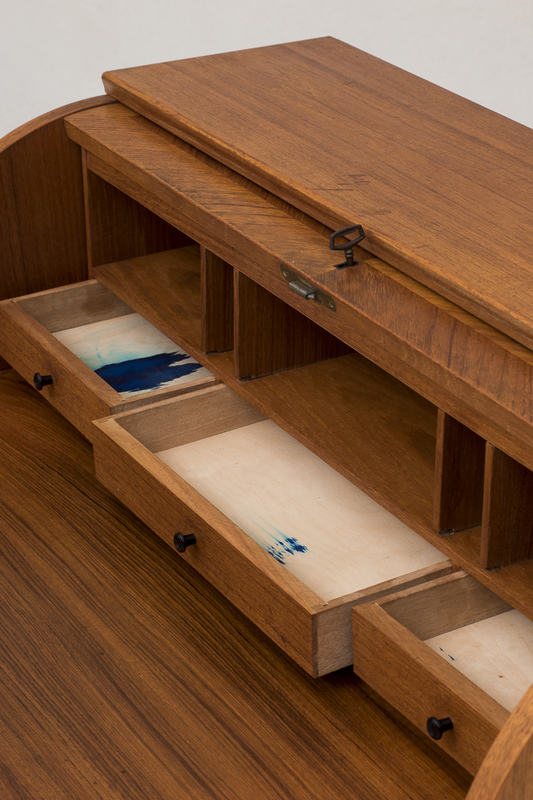 Some ink stains in the drawers. 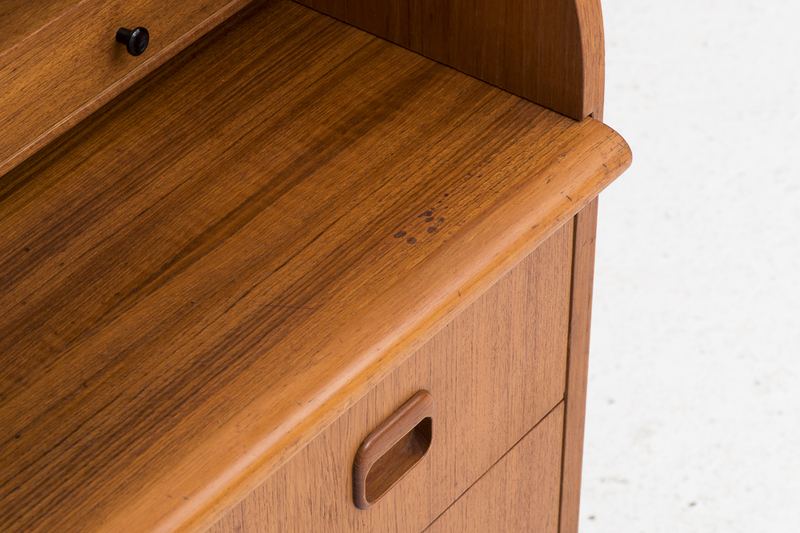 Otherwise in good condition.